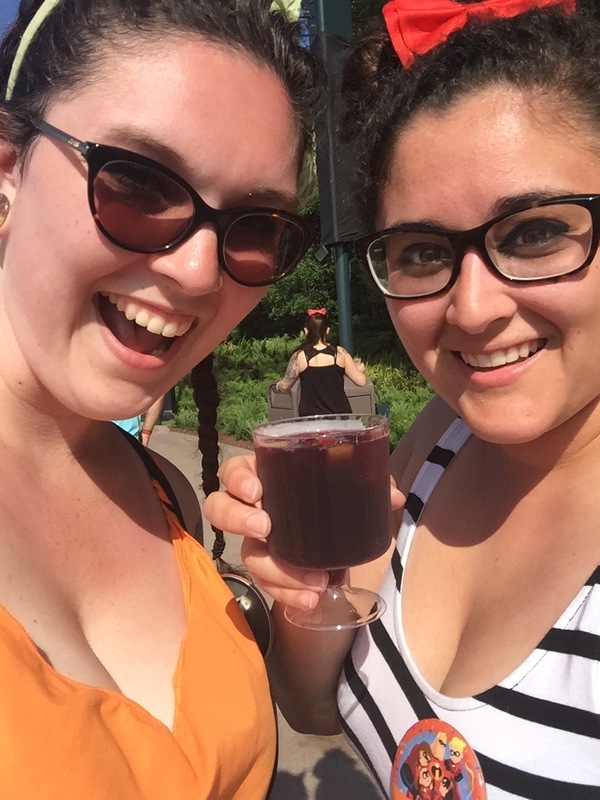 Fangirls, two weeks ago I told you that I was super excited to go drink around the world in EPCoT’s World Showcase. 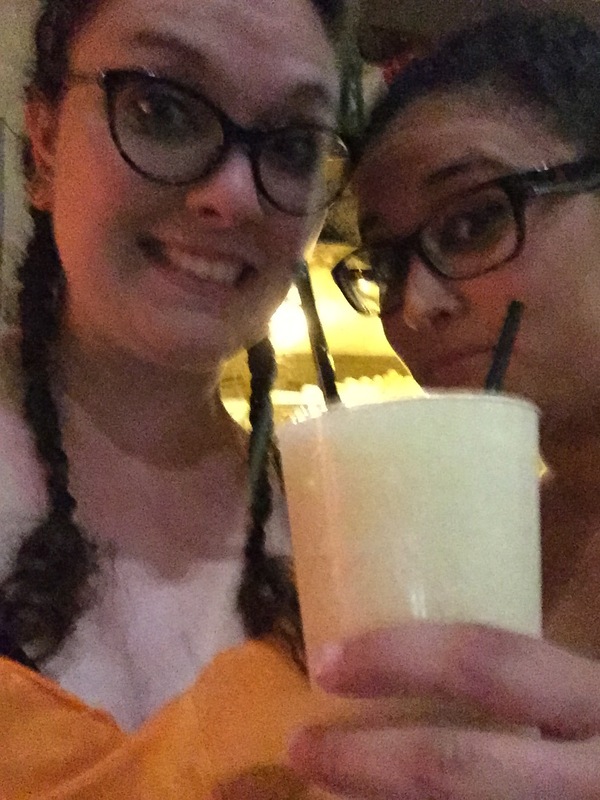 Well, now I’ve done it, and though I don’t remember the names of all the drinks, I do have the pictures to prove it! 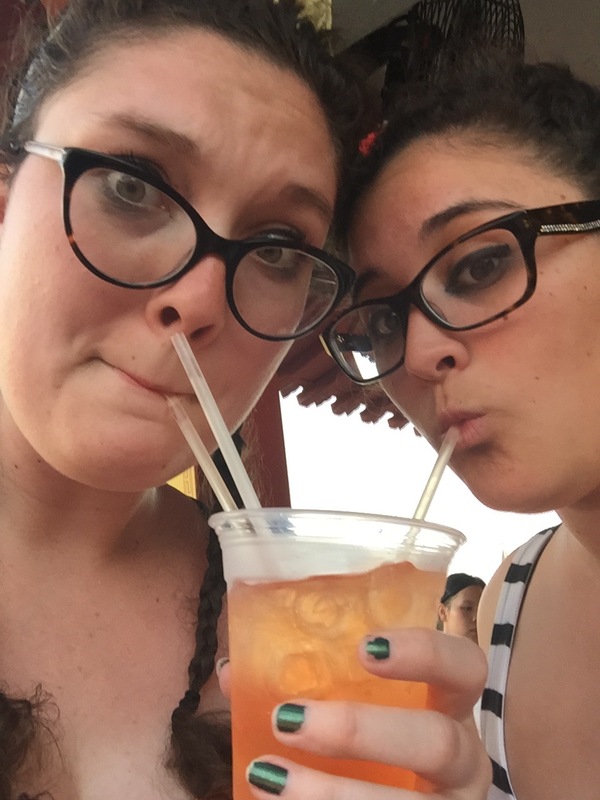 Like I said before, we shared drinks so it would be cheaper and we would last longer. So we started in the UK and got an ale, which I really didn’t like. My friend Paige did get a Black and Berry (I believe) that was a mixture of tea, juice, and Strongbone. 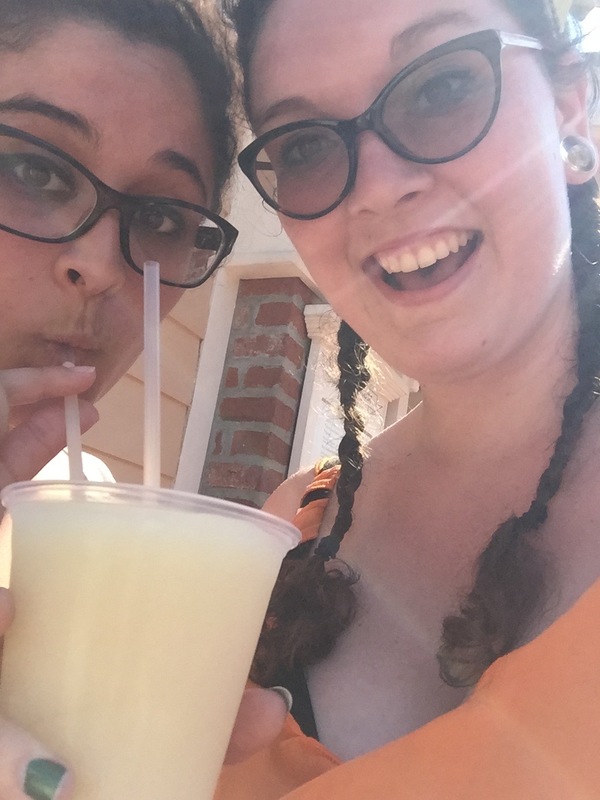 Next up was France, where we got a lemonade slush thing which was absolutely amazing. If you’re of drinking age and in EPCoT, get this. 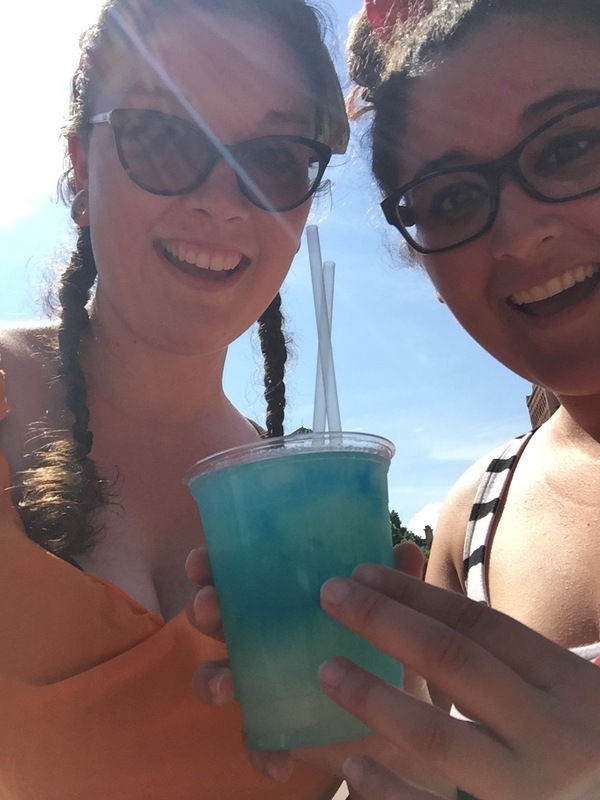 In Morocco, Cassandra ordered this tasty beverage, and since the man at the bar though she was cute, he added some extra blue liquor to it, and holy crap. Morocco can get it. In Japan we had a sparkling Sake called Miko. It was incredibly sweet, and I remember being really apprehensive of Sake, but this was absolutely delicious. 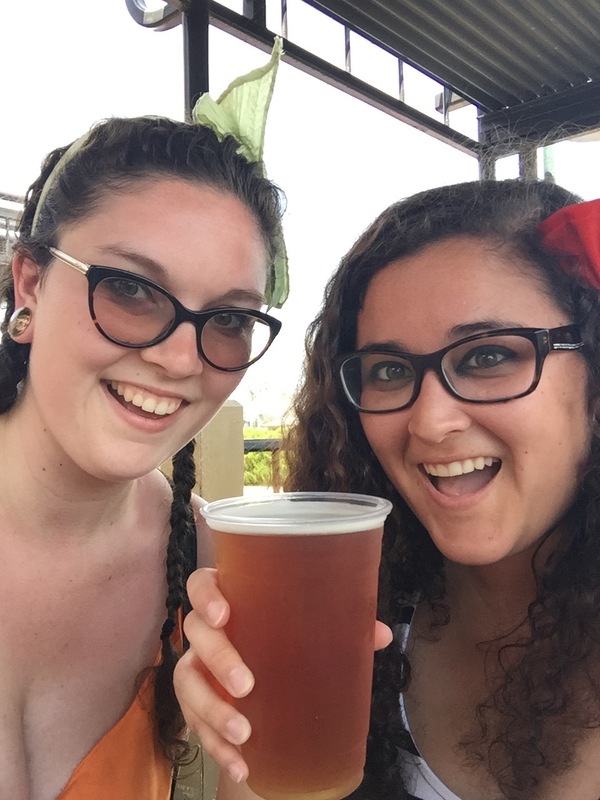 Everyone wanted to skip America, because we’re Americans and we drink the beer here all the time, but I’m stubborn. I went up to the window and they had a Bourbon Lemonade, and I sucked it down way too quickly! 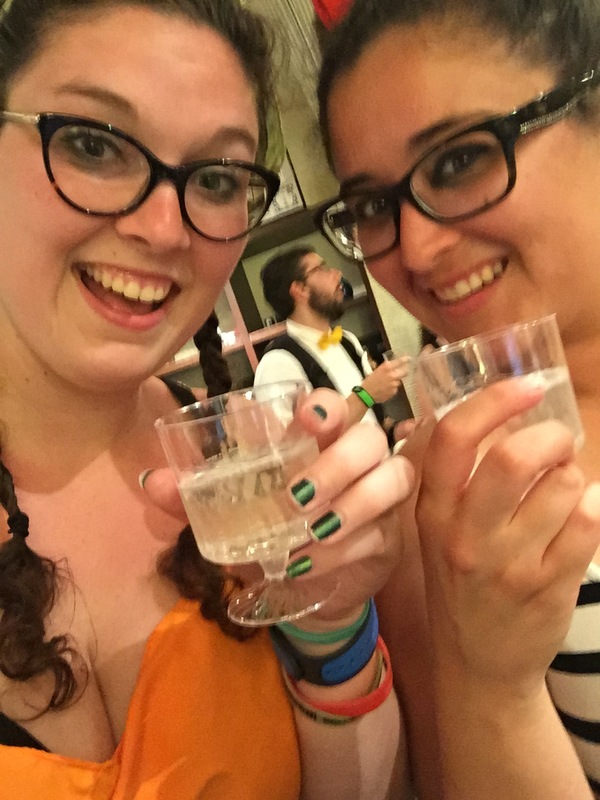 In Italy, Cassandra bought a wine. I do not like wine. It was no fun. In Germany I got worried again, because beer is not anywhere near the type of things I’ll drink. 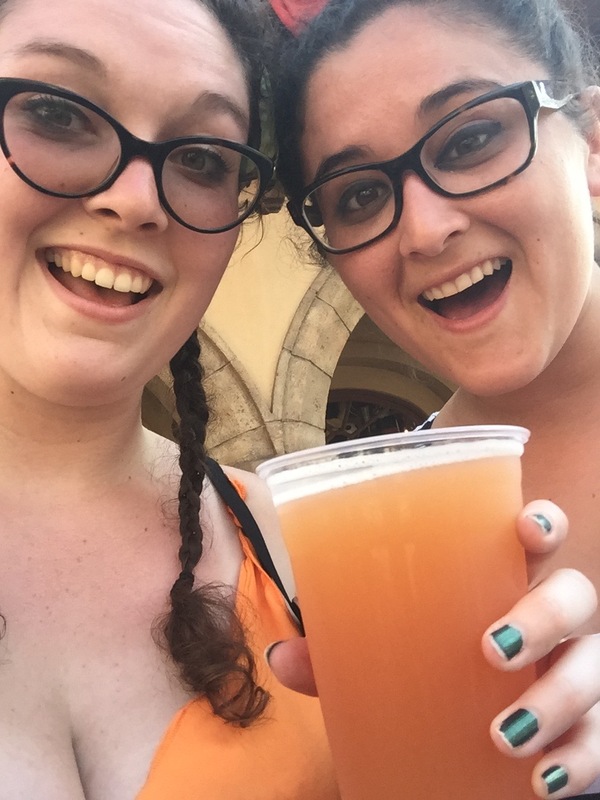 But someone who had drank there before (and was ahead of me in line), suggested the grapefruit beer. I was still apprehensive because I don’t like grapefruit, but this was amazing. On our way back around after dinner, Cassandra grabbed another. After Germany, we ran to our dinner reservations in Mexico. 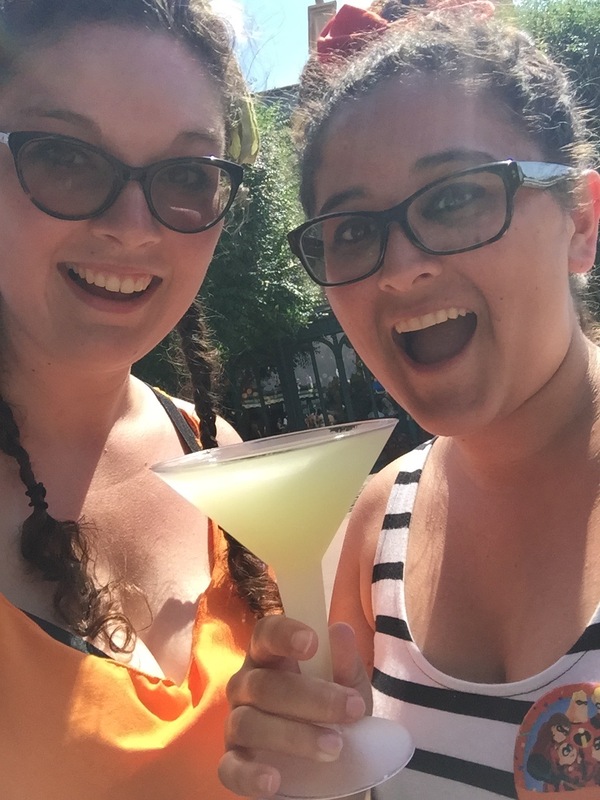 We filled our bellies with amazing food, and grabbed a Pineapple Margarita from Cava del Tequila on our way out. 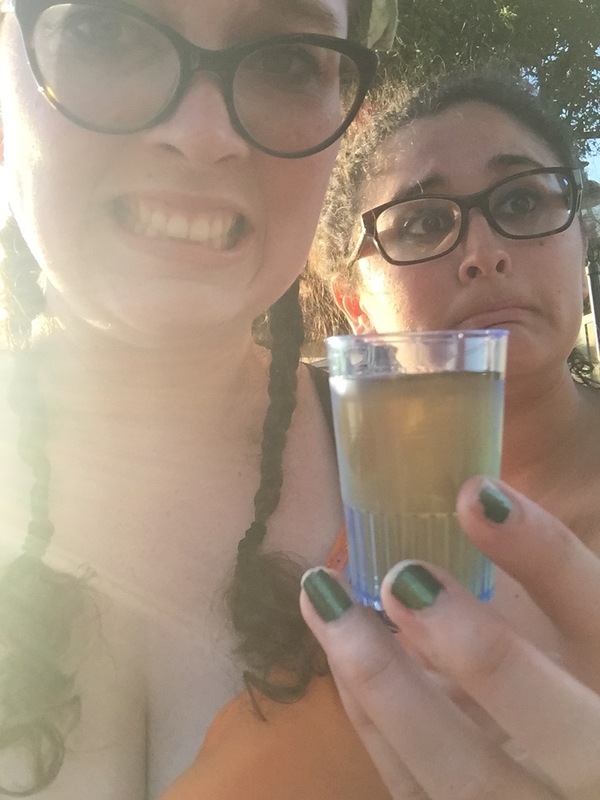 It was my first time drinking tequila, and I wasn’t crazy about it, but it was way tastier that our compatriot’s choice. Next up, we went to Norway, where all 6 of us shared the shot. It was beyond disgusting. In China we got a tea drink that was absolutely phenomenal. I wish I could remember what it was called, because wow. 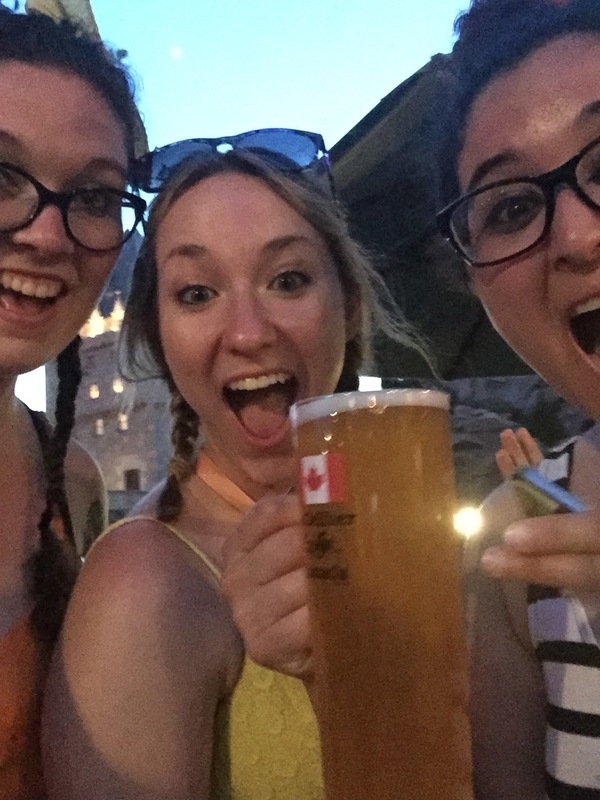 We finished up by running back to Canada and grabbing a beer there. Again, not something I enjoyed. We had a great time, but we were responsible; no one drove, we ate food, and we had some sober(it) babysitters to take care of everyone. So if you’re considering Drinking Around the World, please eat a lot and split your drinks. It’ll save you money and dignity.